We are a traditional family owned Jewellery business that have been loyally servicing the North Shore community since 1989. Located in the main street of Browns Bay with Gerhard and son Gerry 3rd and 4th generation watch and clock makers, the jewellery and watch business is in our blood. We have a full workshop facility on site you can rely on us to repair your jewellery or watch without it normally leaving the shop. Not only do we repair but we can also remake or design existing and new jewellery pieces to your requirements. All repairs in our store are locked up securely in one of two safes overnight with all of our new inventory for your piece of mind. New items in store are hand selected from knowledge that only comes from years of experience so you will have piece of mind and security with the quality of your special purchase. Old fashioned service and product knowledge ensure you can shop with the confidence of knowing that genuine expertise is at hand to help you choose the perfect piece. 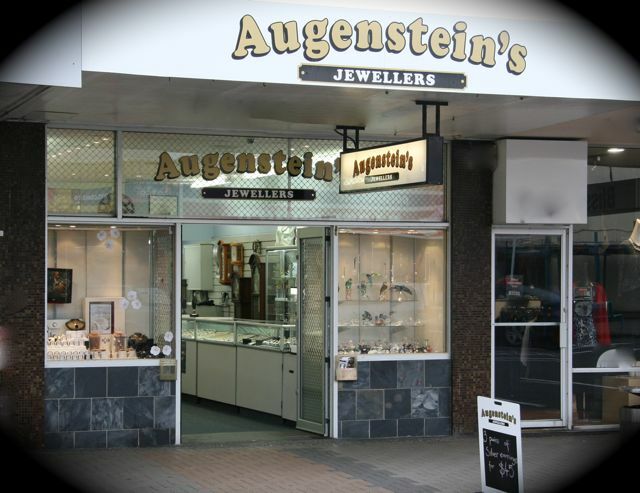 If product knowledge, service, quality, and on site back up service are important to you then Augenstein’s is the jeweler for you.